Ruling BJP candidate Rebati Mohan Tripura, sitting MP Jitendra Chowdhury of the CPI (M) and Pragya Dev Burman of the Congress are among those contesting from the seat. 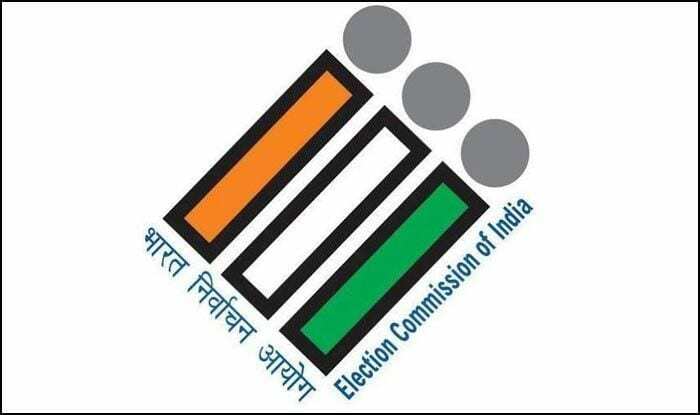 Campaigning for the East Tripura Lok Sabha constituency, which will go to the poll in the second phase on April 18, ended at 5 pm on Tuesday, Tripura Chief Electoral Officer Sriram Taranikanti said. East Tripura constituency is spread across 30 assembly segments and six districts and altogether 10 candidates, including those of the ruling BJP, Congress and the CPI-M are in the fray for it. Prime Minister Narendra Modi, Congress president Rahul Gandhi and CPI(M) general secretary Sitaram Yechuri campaigned for the respective party candidates in the high voltage canvassing. Dhalai district superintendent of police Sudipta Das told PTI that sufficient security deployment was made to ensure free and fair polling on April 18. “We have put central and state armed forces and Tripura Police personnel on duty round-the-clock and CCTV cameras will be installed in polling stations. There will be sector officers from both civil and police administration apart from flying squads,” Das said. Additional central para military force personnel were sent to the constituency after the first phase of polls in West Tripura seat on April 11, he said. Returning officer of East Tripura, Vikas Singh said strict security arrangement would be maintained in the constituency. The BSF has intensified vigilance along the Indo-Bangladesh border which would be completely sealed much before the beginning of polling, he said adding security escorts for candidates have been enhanced and some more arrangements would be made on election day. Poll personnel will reach their destination by April 17 and polling will be held from 7 am till 5 pm on April 18. In an effort to reach out to the people, the BJP has promised pension scheme for farmers, National Registrar of Citizens (NRC) in the state, smart border fencing to stop illegal immigration, enactment of the Citizenship Amendment Bill and development of indigenous communities. Chief Minister Biplab Kumar Deb also stressed on fulfillment of HIRA (Highways, I-ways, Railways and Airways) and making Tripura a model state in poll campaigns. Congress has formed an alliance with Indigenous Nationalist Party of Twipra (INPT) an indigenous regional party. They are contesting the poll with issues like scrapping of the Citizenship Amendment Bill, inclusion of Kokborok, the lingua franca of Tripura’s indigenous community in the 8th schedule and empowering Tripura Tribal Areas Autonomous Territorial Council (TTAADC), which constitute two third of the state territory and is home to tribals, who forms one third of the state population. The Indigenous People’s Front of Tripura ( IPFT), which an ally of the ruling BJP, will contest the Lok Sabha polls alone and has fielded N C Debbarma, who is also state revenue minister, as its candidate in East constituency. Like in the assembly polls, the indigenous party kept up its demand for a separate Tipraland as its main poll plank for the Lok Sabha polls. The IPFT and BJP had together formed the government after bagging 44 out of 60 Assembly seats in 2018, ending a two-decade old Marxist era. The East Tripura seat had been won by Left candidates since 1952 except for two terms when late Maharaja Kirit Bikram Kishore won from the seat in 1989 and Bibhu Kumari Devi in 1991. The number of voters in the constituency is 12,61,861 of whom 6,41,515 are male and 6,20,342 are women and 4 are from the third gender. They will exercise their franchise in 1645 polling stations of which 30 will be managed by women, EC sources said.